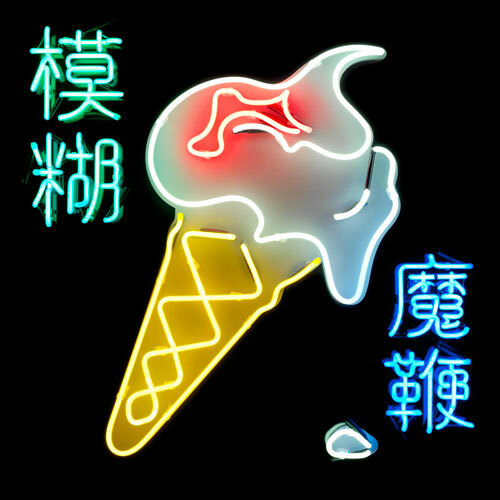 Blur’s new album ‘The Magic Whip’ is out everywhere on Tuesday 28th April and you can listen to the entire album exclusively this week via iTunes: Click here to listen now. You can also Pre-order the album now on iTunes and receive the tracks ‘I Broadcast’, ‘My Terracotta Heart’, ‘Lonesome Street’, ‘There Are Too Many of Us’ and ‘Go Out’ instantly. Plus you’ll get ‘Ong Ong’ early on 23 April. Blur headline Barclaycard presents British Summer Time Hyde Park in London on Saturday 20 June. Get your tickets now. See a full list of upcoming live dates here. Additionally, you may wish to follow the band via their official website. From what we’ve heard of the new album, it’s picks up exactly where the band left off with Think Tank, referencing both that albums electronic flavours but with that extra special Graham Coxon guitar layer front and center which identifies so many of Blur’s finest songs from their earlier albums.